Relive history with these reimagined versions of classic games. 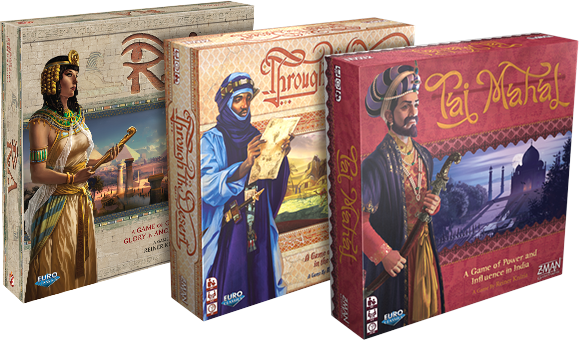 The Euro Classics line is dedicated to redesigning select Euro-style games and making these classics available to wider audiences. 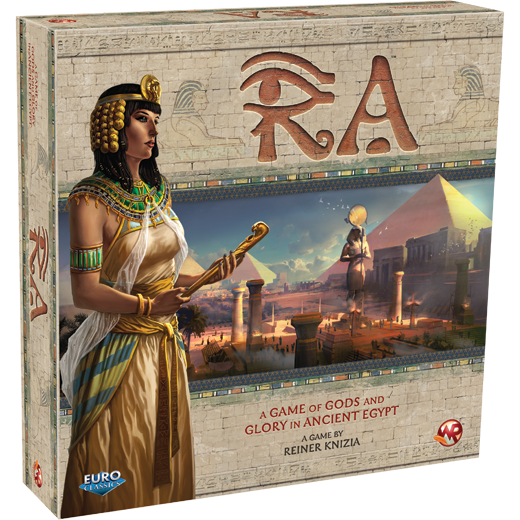 Featuring diverse settings from Ancient Egypt to Feudal Japan and beyond, Euro Classics represent the pinnacle of board game design. 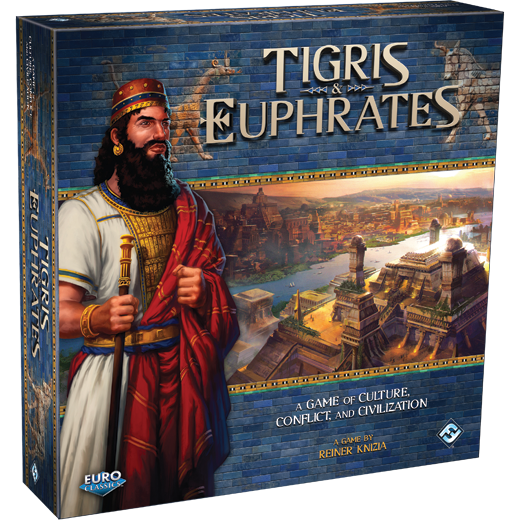 Each game in the Euro Classics line combines a compelling premise with core mechanics that allow for great strategic depth, and is produced with quality materials. These modern classics are sure to appeal to veteran and new board game fans alike. 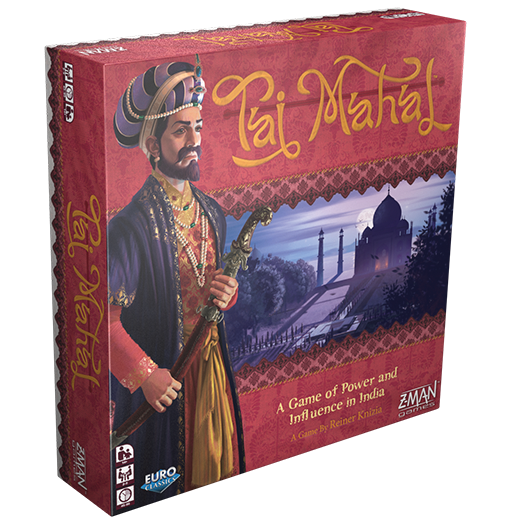 Master the dance of intrigue and compete for the favor of the Grand Mogul to lead India into a new age. Boldly lead your tribe across the sun-baked sands of the Sahara. In this harsh environment, only the strong survive. The cradle of civilization calls for brilliant minds and courageous leaders—this is your chance to make history. 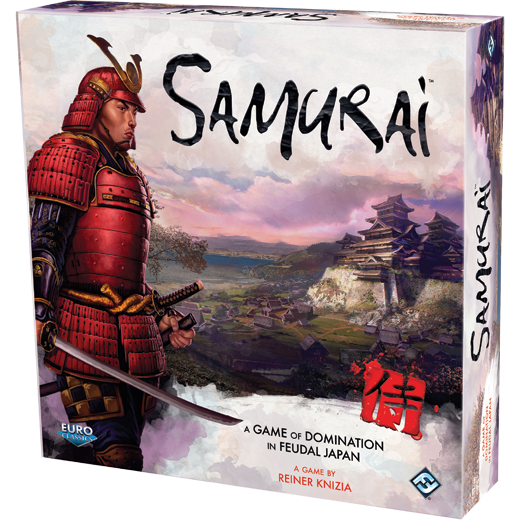 Unify the samurai—and, with them, all of Japan—in this classic tile placement game. Only the strongest dynasty will dominate the fertile crescent and make its mark on history.